Save your windshield from high speed rock impacts. Nobody likes a cracked windshield. The loud cracking sound of a rock hitting your windshield at speed is one of the most terrifying noises you could ever hear. Not to mention, a windshield is very expensive to replace. Most of the time, a rock impact to your windshield leads to cracks or big gouges in the glass. More often than not, this leads to needing a new windshield. Even small nicks are a problem. Collect enough of them and it greatly reduces your windshields strength, could lead to cracks and overall reduces your car’s safety factor. Damaged windshields are an enormous hassle. 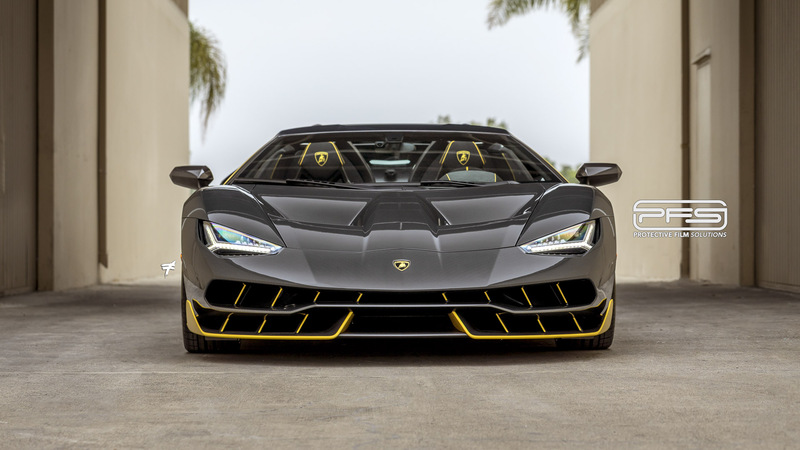 Removing and replacing your windshield can prove very costly – not to mention, some windshields, specially those on super cars, are extremely difficult to source. Add to that your vehicle’s downtime as you wait for parts and repairs and the problems compounds itself. Windshields are susceptible to damage while on regular daily driving roads. If you follow other vehicle closely, your chances of windshield impacts increase. You can somewhat reduce your chances by driving defensively during your normal commutes. Despite this, you can’t always avoid it, specially driving at fast freeway speeds. Those of you that do canyon driving and track driving know full well that windshield damage is something extremely common. You follow the other cars very closely. The car in front of you drops a wheel on the inside of a corner and you immediately get pelted with a barrage of pebbles. 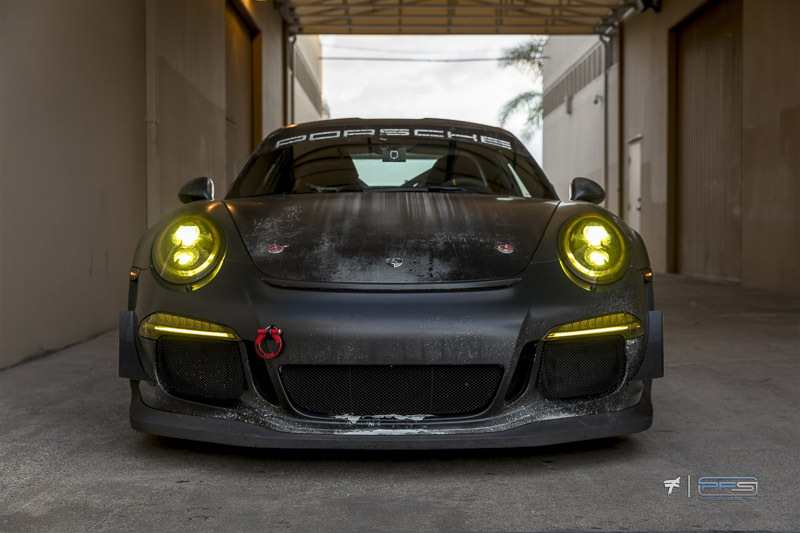 At Protective Film Solutions we focus on every aspect of your vehicle’s exterior protection. This means we don’t just look at your paint for our films. Your windshield is a very important part that needs protection. This applies to road cars, track cars and race cars not running plexiglass instead of glass. On the road, a rock flung by a semi-truck can ruin your day. 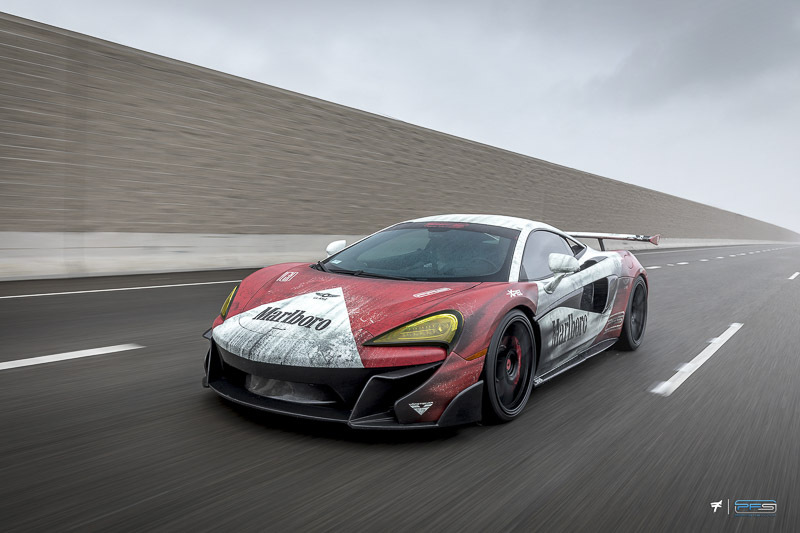 On the track, windshield protection is almost mandatory, specially on tracks with dirt or gravel runoffs. We use quality windshield protection film by ClearPlex. This windshield protection film adds a very strong layer of protection to the outer part of your windshield. It is designed to absorb impact from road and track flung pebbles and small rocks thus protecting your windshield from expensive damage. The first time a rock bounces off a protected windshield and the glass comes out unscathed, your investment has paid for itself. For those of you that drive on the track often, this kind of windshield protection is priceless. Our windshield protection films are 100% invisible. Once on, you can’t really tell the film is there. However, the protection from damage it offers is active all the time. Don’t wait until it’s too late and you have to replace a windshield. Get ClearPlex windshield protection film from Protective Film Solutions now and enjoy carefree driving without worrying about windshield damage. 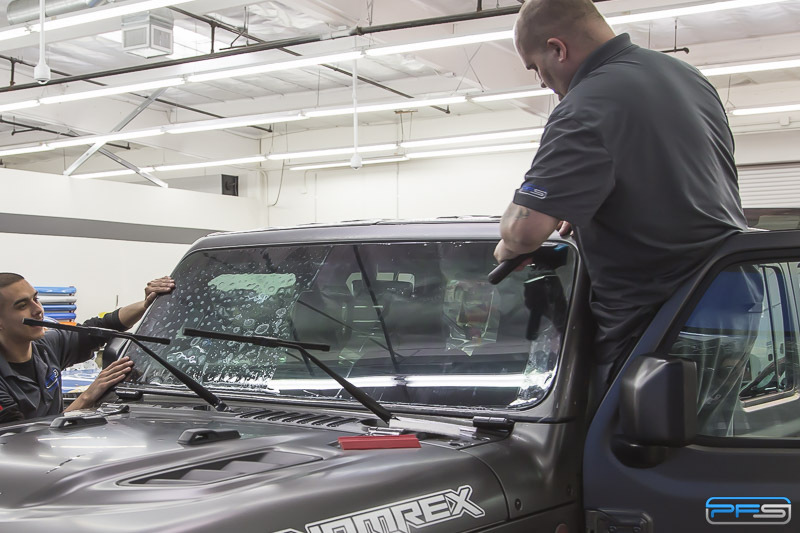 Request a free quote for windshield protection for your vehicle today! Fill out the form below and submit. We will get back to you shortly with a price quote.